This year’s hurricane season – relatively quiet this far – is expected to heat up as the height of the season approaches, with a new forecast out this week calling for the most active season since 2012. 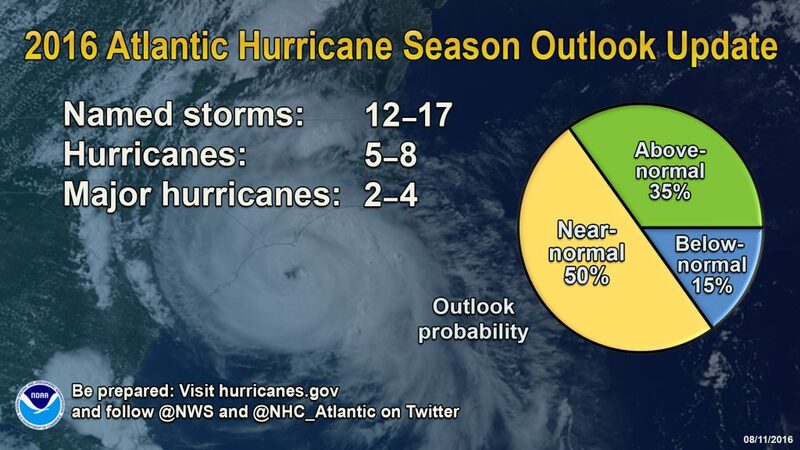 The forecast from the National Hurricane Center is an annual revision to early-season expectations. In its updated 2016 outlook, the federal forecasting agency calls for a higher likelihood of a near-normal or above-normal season, and decreases the chance of a below-normal season to only 15 percent, from the initial outlook issued in May. Forecasters now expect a 70 percent chance of between 12 and 17 named storms, of which five to eight are expected to become hurricanes, including two to four major hurricanes. The initial outlook called for between 10 and 16 named storms, four to eight hurricanes, and one to four major hurricanes. 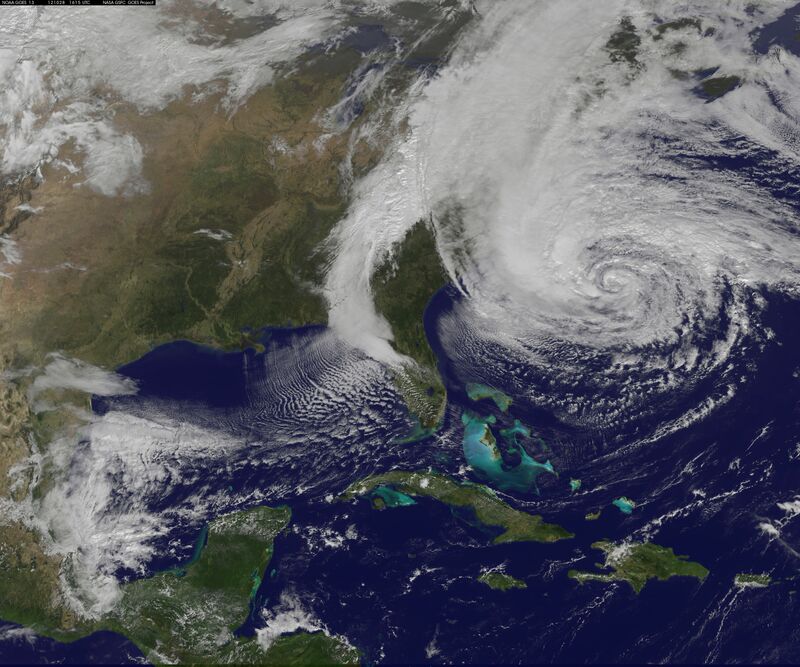 The seasonal averages are 12 named storms, six hurricanes and three major hurricanes. “We’ve raised the numbers because some conditions now in place are indicative of a more active hurricane season, such as El Niño ending, weaker vertical wind shear and weaker trade winds over the central tropical Atlantic, and a stronger west African monsoon,” said Dr. Gerry Bell, lead seasonal hurricane forecaster at NOAA’s Climate Prediction Center. The season will not become “extremely active,” however, with Bell forecasting that less conducive ocean temperature patterns in both the Atlantic and eastern subtropical North Pacific, combined with stronger wind shear and sinking motion in the atmosphere over the Caribbean Sea, are expected to prevent the season from getting immensely strong. To date, there have been five named storms, including two hurricanes – Alex and Earl. Four made landfall: Bonnie, in South Carolina, Colin, in western Florida, Danielle, in eastern Mexico, and Earl, in Belize and Mexico. Hurricane season peaks on Sept. 10, historically, meaning the most active period for tropical weather development is still ahead. As of early Friday morning, no tropical systems were expected to develop any time soon in the Atlantic basin.